Sadly, after today it will be my last Artsy Wednesday post for a while. I’ve been super busy lately and I’ve been having trouble keeping up with doing a nail post every week. This week’s AW theme is Wedding Nails! For me when it comes to weddings I think the simpler the better. I wanted to create a classic Mani but unfortunately my White has gone missing! Ironically the last time I saw it was when I was doing peoples nails at my sisters wedding a few weeks ago haha! Anyway, I improvised with a some silver glitter instead and I think it looks quite nice. I also created a little ring of silver beads on the ring finger for a bit of interest! I hope you like it! One more time thank you ladies for all the fun themes and incredible nails! It’s been fab! I will continue to check out your AW posts for ‘nailspiration’ though so it won’t be the last you hear from unfortunately hehe! 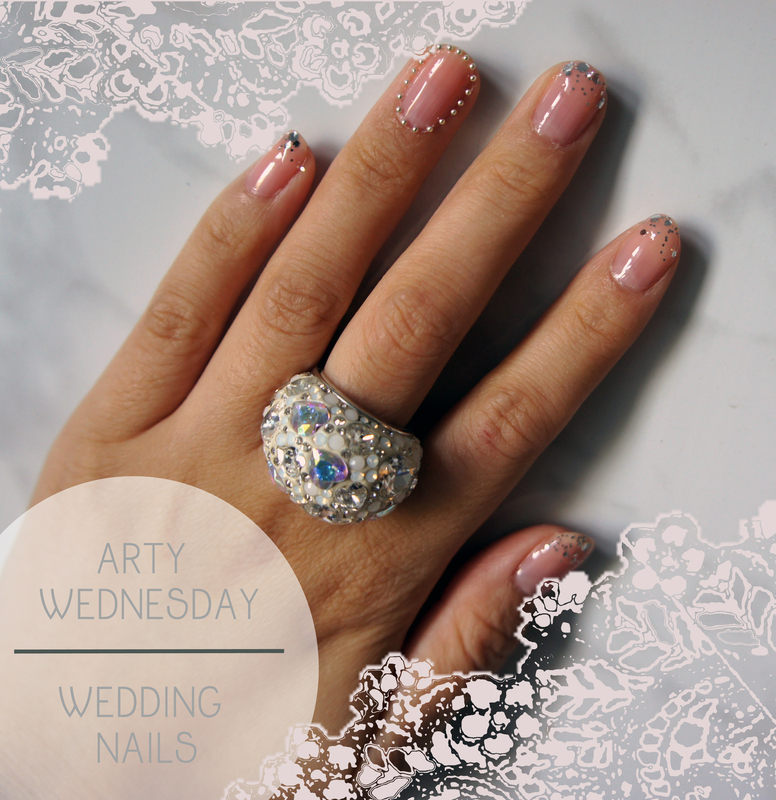 Tags: Artsy Wednesday, Beauty, bridal nails, Nail Art, nail designs, nailpolish, Nails, wedding, wedding nails. Bookmark the permalink. That manicure about is gorgeous! Perfect for a wedding. Gorgeous manicure! Hope life becomes less hectic for you soon!